Actually, mediocrity isn’t that funny. There goes my travel fellowship. Wait, I think I nixed those chances way back in September. Still, we keeps pushing. Below is a bit of raw reporting I handed in to a colleague who was putting in extra-fly work on the election coverage tip. **Shouts to Beth Mo! 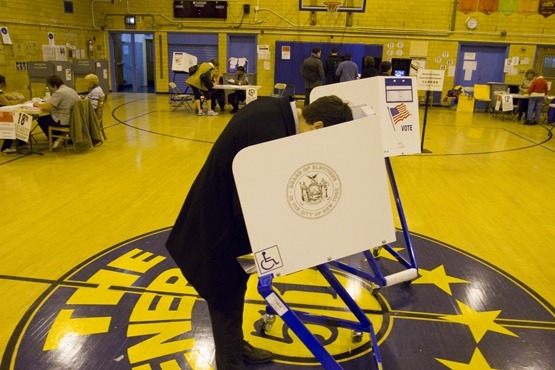 Snapshots of Voters in Park Slope. Camp Friendship 8th Ave and 6th Street. Voter 1, Black Male, mid to late 30s. Voted for: Charles Barron, stuck with Dems in other races. Why: Because that was the best choice. Why: I could never vote for Carl Paladino. The Republican Agenda does not fall in line with mine. ¨There will be Republican sweeps in other states, so I thought about that in part. Why: Best option I felt comfortable with. At this time they need to have some resistance to what everyone thinks is going to happen. Why: ¨They´ve been my reps for years and years. The kneejerk reaction is to take them out to affect change. Voted: Cuomo, voted Democrat in all the major races. Why: I don´t like the way Paladino talks. For all intents and purposes I vote Democrat. I vote for the people who are going to give the people the most power, and that´s usually not the republicans.